German physician; born at Freistadt, Prussian Silesia, Oct. 25, 1835; died at Prenzlau, Prussia, Oct. 25, 1901. He studied at the University of Berlin, where he graduated in 1859 as doctor of medicine. In 1861 he established a practise in Prenzlau. He served through the Franco-Prussian war in the capacity of surgeon, and was decorated with the Iron Cross. 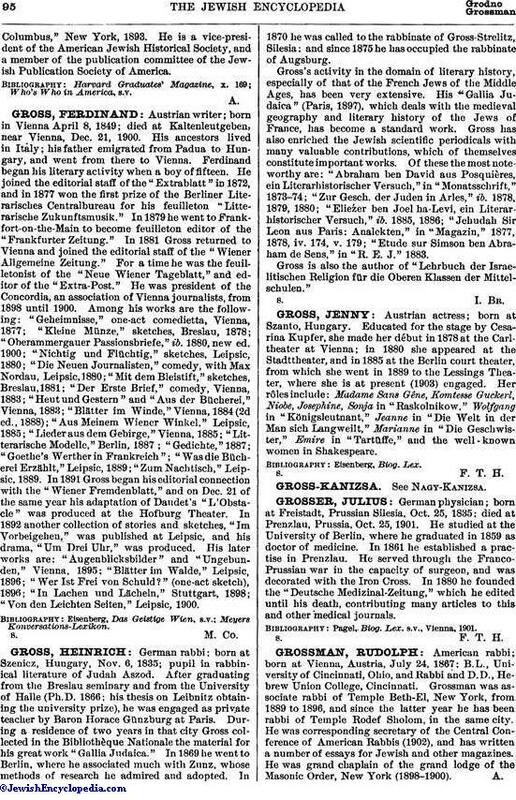 In 1880 he founded the "Deutsche Medizinal-Zeitung," which he edited until his death, contributing many articles to this and other medical journals.